Pancake Day is on 5th March 2019. A day of both tradition and indulgence. But if you’re looking to make things a little more interesting this year and dine out of the home, London is a fantastic place to be. The capital is well known for its diverse dining options. From world renowned restaurants with famous chefs, to small hidden gems offering particularly unique experiences. When it comes to restaurants, there’s something for everyone and every occasion in London. 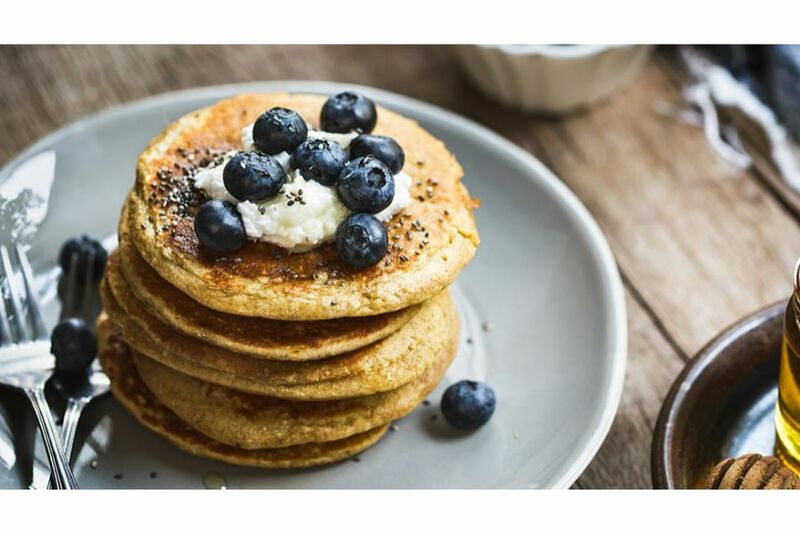 With Pancake Day just around the corner, we’ve delved into finding the best pancakes the city has on offer. From utterly fancy to classically tasty, here’s our list of top 5 restaurants, all within easy reach of any Barratt London development. Enjoy the stunning views of the London skyline at Aqua in the Shard, as you delve into a stack of mouth-watering pancakes. Last year’s offering was a blueberry ‘mille feuille’ pancake, drizzled in maple syrup with a side of luxury blueberry ice cream. We’re excited to see what their specialist and talented pastry chefs will create for this year’s celebration. Head over to Sloane Square this Shrove Tuesday and treat yourself to The Botanist’s indulgent Lobster Pancakes. Named London’s ‘most decadent pancake’, it features chunks of fresh lobster, morel and chanterelle mushrooms and a creamy, smoked garlic bisque. Quite a treat, but we’re sure you deserve it. The Blue Bird in Chelsea is a hugely popular brunch spot, with its well-loved weekend breakfast menu. On Pancake Day, they offer something equally delicious. Huge stacks of fluffy pancakes with either sweet or savory toppings. Enjoy while being surrounded by chic interior and calming greenery. The Breakfast Club is known for two things – the huge queues outside, and the delicious food. It’s guaranteed perfect pancakes, so if you can book early or put up with the wait outside, we highly recommend. They are in many areas in and around London, so check their website here to find the nearest to you. Finally, nothing says luxury quite like The Ritz, and with their offering of Crepes on the dessert menu, it also makes the perfect place for pancakes. Their Crepes Suzette (£36) serve two people, and creates quite the experience as they are prepared before your eyes at the table by the Maitre d’hotel. An ideal place if you want to treat someone special.